If you need to hammer on the knife it needs to be very strong. 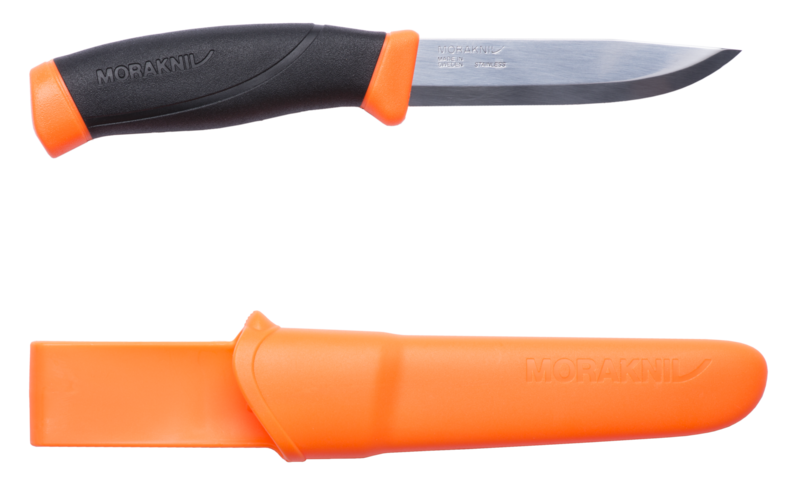 We have thought this through with a three-layer thick cast molding, and an extra thick blade, which literally, stands up against the hammer. If you choose the fluorescent orange color, you can find the knife quickly when you need it. The green model is more discrete and blends in with surroundings. Companion Heavy Duty is the optimal companion for rigorous adventures and challenges. The robust handle and somewhat blunter 27° angle edge give it maximum edge resiliency. The blade is extra thick (3.2 mm) to be able to withstand all kinds of pressure and it’s made of carbon steel, which is simple to sharpen. Remember that carbon steel needs maintaining though, so make it a habit to wipe the knife and oil the blade after usage. Kindly Visit Our Outlet for purchase and more product information.